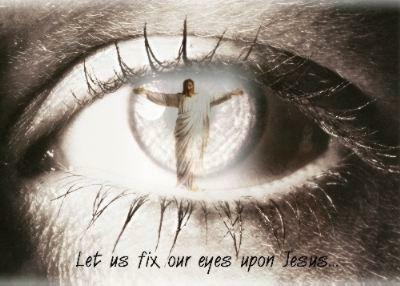 Open your eyes to see what I want you to see, says the LORD. Open your ears to hear My voice. I Am speaking. Silence the voices around you. Do not pay attention to the difficult circumstances that are screaming and vying for your attention. They are only distracting you from My still, small voice. Quiet yourself. Lose your own opinions and stop relying on the opinions of others. I AM THE WAY. I AM THE TRUTH. I Am the LIFE. I AM THE LORD! LISTEN! LISTEN! LISTEN! Quiet yourself. BE STILL! BE STILL and KNOW that I AM GOD with you and in the midst of you. Yes, I AM The ONLY GOD. Place your attention upon Me, and only ME. You will go in the direction that your attention takes you. Let ME order your steps in peace and quietness, calmness and POWER. For I do not have to kick and scream, shout and thunder. I WORK and none can stop ME. My thoughts become My decrees. My decrees become reality. Nothing can resist Me and there is no power that can conquer Me or deter Me from working on your behalf as My beloved child, says the LORD. have given you, says the LORD.